From Goodreads: Hurricane Katrina is long gone, but the preternatural storm rages on in New Orleans. New species from the Beyond moved into Louisiana after the hurricane destroyed the borders between worlds, and it falls to wizard sentinel Drusilla Jaco and her partner, Alex Warin, to keep the preternaturals peaceful and the humans unaware. 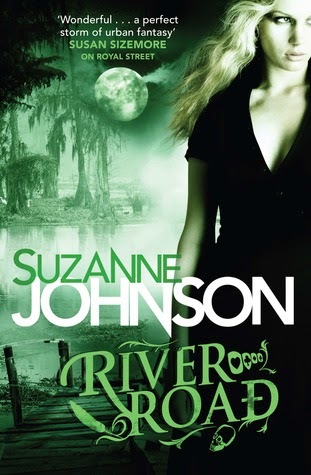 But a war is brewing between two clans of Cajun merpeople in Plaquemines Parish, and down in the swamp, DJ learns, there’s more stirring than angry mermen and the threat of a were-gator. I'm really enjoying this series and it was great to catch up with DJ and Co. I liked that it was set a few years after the first book - it meant that the relationships had move forward more - and I have to say I am actually really enjoying the 3 love interests! Yes I do have my favourite (let's just say I know exactly who I'd like to play ball with...!) but I like the way DJ is conflicted - it makes the whole will they/ won't they thing a bit more interesting. Plus I really like all three. Can't wait to read the next in the series!